Serving diverse communities, fostering unity, and promoting Vietnamese American identity. As a jet fighter pilot (A-37) during the Vietnam War, Mr.Dung graduated from The Squadron Officer School, Air University, Montgomery, Alabama, in 1972. 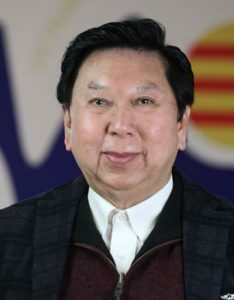 He has worked for Lutheran Social Services of Illinois, The Chinese Mutual Aid Association prior to working for The Vietnamese Association of Illinois since October/1975. He has been in charge of the VAI/CCP program since July 2003. He volunteers in many community activities (The Vietnamese Seniors Association of Chicago, The Vietnamese Veterans Association of Illinois, and The Vietnam Veterans of America, Chapter 242). He enjoys playing tennis, reading books, and watching TV.